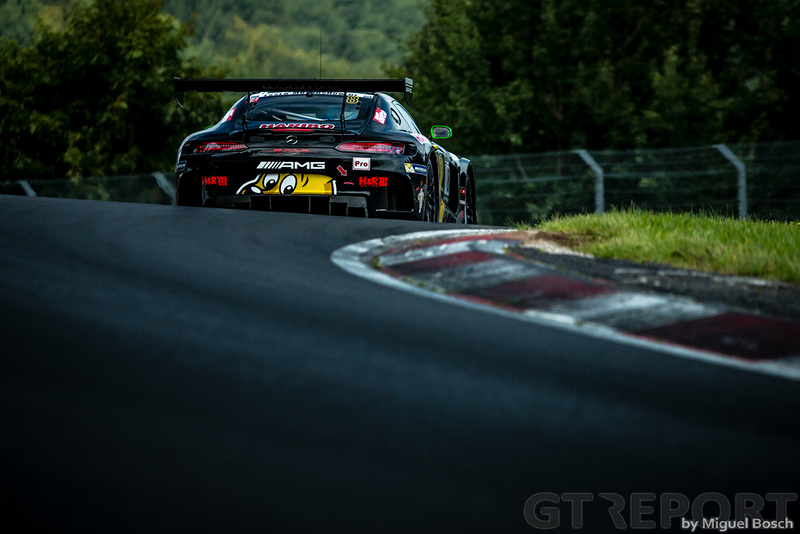 For Renger van der Zande the season in the Eifel has come to an end. 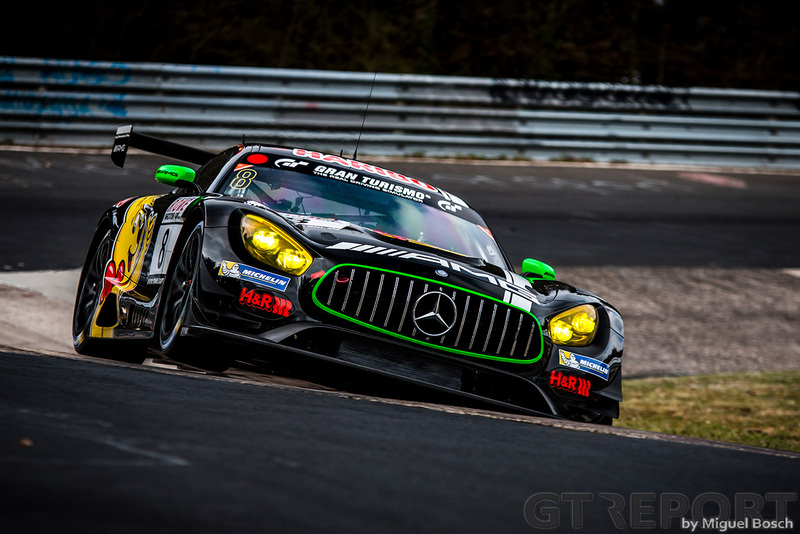 Before returning to the United States for the remainder of the WeatherTech SportsCar Championship, the Dutchman came to the Nürburgring one last time this year to race the Haribo Racing Mercedes-AMG GT3. 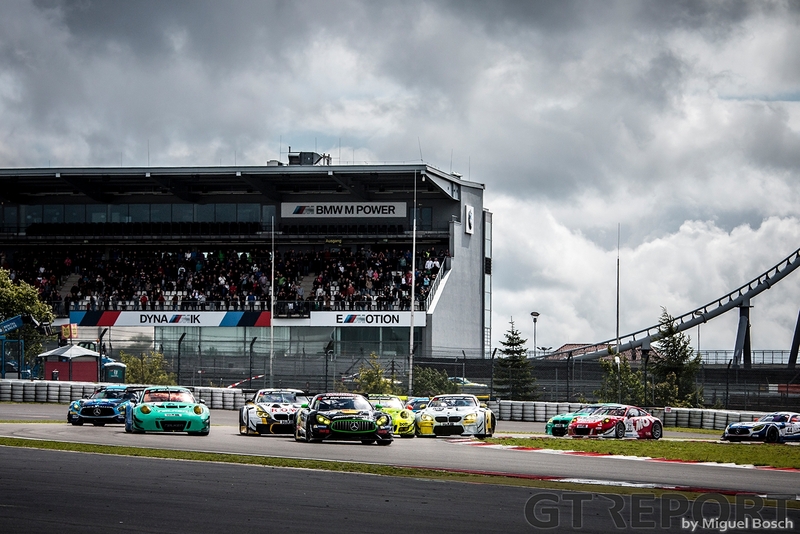 In the ever-changing weather conditions of the Rowe 6 Stunden ADAC Ruhr-Pokal-Rennen, he reveled. “It was a great adventure today,” Van der Zande reflects on a day that saw sunshine interchanged with rain. “We’ve raced for six hours, of which I drove 3 hours and 45 minutes. Especially during the wet and tricky conditions the team put me in the car. “I always feel very happy when it’s a little bit slippery and things get tough. The team knows this, so we didn’t take any risk. 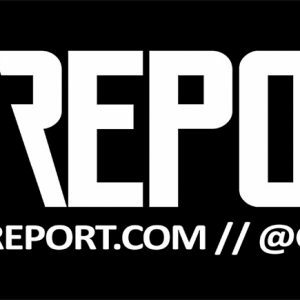 “Luca Stolz and Edward Sandström also did very well, I think they’ll be back with Haribo. But at that time, the team played it safe by putting me in the car when it got tricky. “It was very hard: I had to keep the car on the track, look carefully where the grip was, watch where I could push hard and where I had to dial it down a bit. “I even spun once today, that was quite the experience. I went into the downhill turn at Kallenhart and felt the rear of the car and thought, ‘it’s back’. But it was raining and because of the half-wet, half-dry tarmac, you suddenly have grip and then you don’t. “I lost it and went towards the wall. I had to go full-throttle to spin the car around instead of going into the wall. It was more luck than wisdom, but it’ll make for a good story! “I turned off the traction control, turned around and continued. Coming from second on the grid, Van der Zande managed to overtake Klaus Bachler in the Falken Motorsports Porsche 991 GT3R at the start of the race. 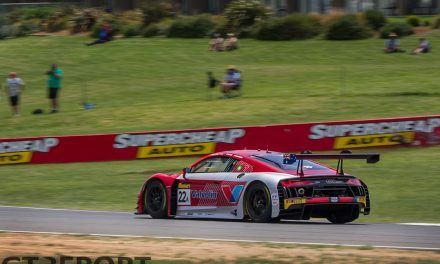 His lead wasn’t to last, however, as Philipp Eng slipstreamed the Rowe Racing BMW M6 GT3 past the AMG at the long Döttinger Höhe straight. 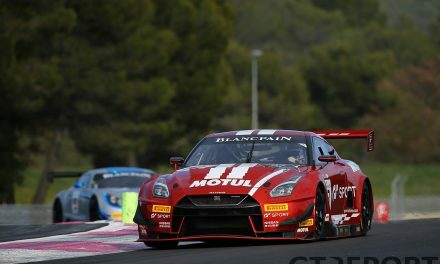 “The first stint was fun: At the start I right away took the lead and pulled away slightly until the entrance to Döttinger Höhe. Then the Mercedes just runs short of top speed on the straights. 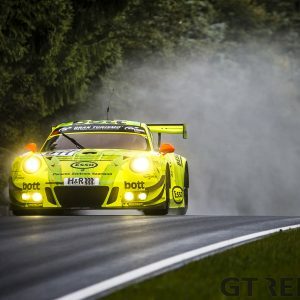 The winning move today came from Manthey Racing. The local team employed a conservative tyre strategy while others, like Haribo, missed their chance to make a final push for the win when they rolled the dice and lost. 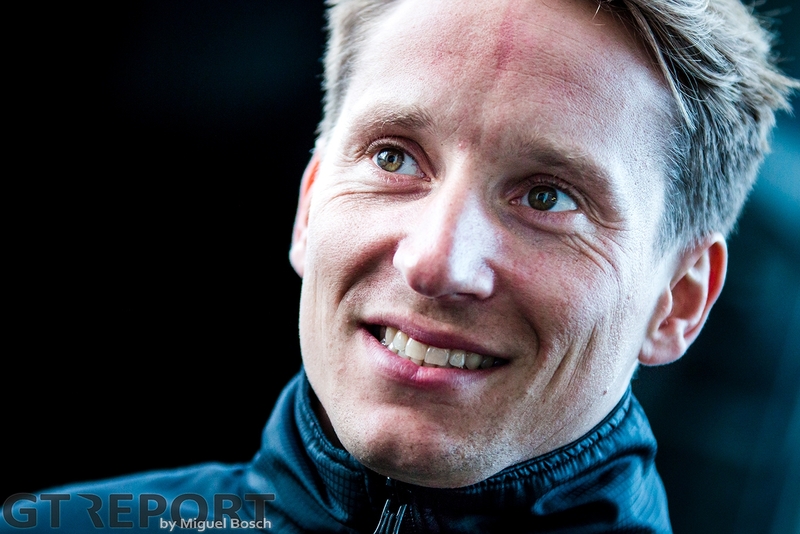 Van der Zande explains how the team came to a tyre choice in the unknown that’s the Nürburgring weather: “The team sees quite a lot as we have a live onboard camera, so they can watch along. “For example, I tell them: ‘here it’s dry, there it’s wet, and I’m expecting it to be one more lap until it’s completely dry’. I can feel this, of course, because I’m sitting in the car. “We also make use of radars. My team boss, Hans Guido Riegel, has a helicopter and a weather radar. Of course, you can also look on your phone for a radar, but the weather here changes so quickly, those radars often don’t tell much. It’s different every five minutes and for that reason you can’t use those radars, we’ve seen that again today. “That makes it very hard to make a choice. You must make a decision and sometimes it’s the right one, sometimes it isn’t. We lost too much with the calls on the tyres. 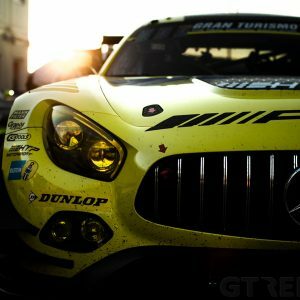 “In addition, we received a penalty for leaving the pits too early. That cost us 35 seconds and without it we would’ve already been on the podium. “You win together and you lose together and today this cost us the podium. It wasn’t only the weather that put Van der Zande to the test today. 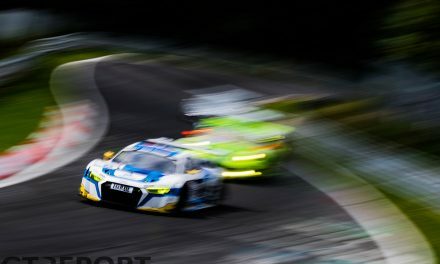 As always, the multi-class racing that characterises VLN threw its own curveballs at the Nijmegenaar. “You can’t really explain the things you experience here on this track. You’ve got fast cars, medium-fast cars and very slow cars. “There’s also this Volkswagen driving here; I almost plunged into it three times because it’s so much slower than what we do. Although he enjoyed himself, missing out on the podium does bug Van der Zande. 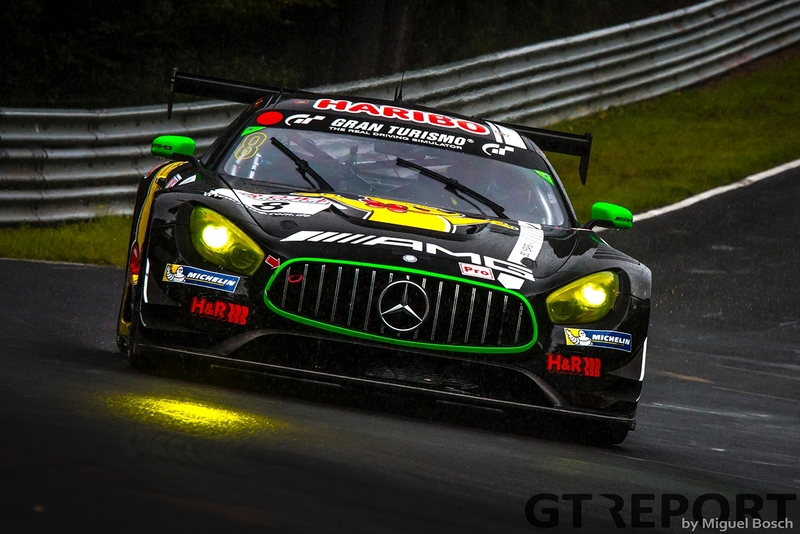 Haribo Racing has a couple more VLN races on the schedule, but those’ll have to be fought without Van der Zande. His attention now goes to his US-based campaign with Spirit of Daytona Racing, and sorting out his 2018 program. “We’re going to prepare for next year and see where I’ll be racing. I’m talking with other manufacturers and we’ll have to wait and see what it’s going to be.